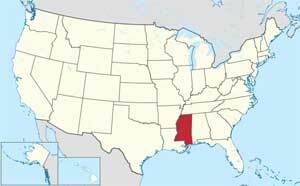 The state of Mississippi is well known for its nursing shortages and its high demand for qualified graduates. An ever-increasing aging population has exploded the demand for LPNs, RNs, BSNs and MSNs in Mississippi. The state has responded with innovative programs aimed at helping students to complete their education and then smoothly move into the workforce. The wide variety of nursing schools and nurse programs in Mississippi make it easy for potential students to find an institution that offer all of their course choices. The Mississippi State Board of Nursing has listed 26 accredited LPN programs which last on average 1-2 years. The course of study includes such things as basic nursing skills, pharmacology, anatomy and psychology, and the core focus is on hands on care. Mississippi’s demand for trained nurses is so high that they have fast track programs for LPN-RN for those who wish to become registered nurses. As an LPN, you will be responsible for patient care, care of wounds, administering medication and some injections, bathing and feeding and diagnostic testing, among many other duties. Once you have graduated, you can take the NCLEX-PN exam. For those who choose to become an RN right away, you have two options to do so. There are 14 accredited ADN programs available and 7 BSN programs. You can decide to take the two year Associate Degree in Nursing (ADN) program, or you may prefer the four year Bachelor of Science in Nursing (BSN) degree program. Either option will enable you to take the NCLEX-RN exam after graduation. As an RN, you will have many responsibilities including administering and injecting of medications, emergency medical care, diagnostic procedures, formulating treatment plans for patients and supervising both LPNs and CNAs. Amongst those who are currently working in the nursing profession in Mississippi, they strongly recommend taking the BSN degree program as your RN option. Not only will the salary be higher, but graduates with a BSN have much greater flexibility in workplace options. For those who prefer to learn at a slower pace, or who may not be able to currently attend an institution full time; online learning options are available and are becoming more popular. RNs who wish to advance themselves while practicing can take advantage of the online ADN-BSN or ADN-MSN programs. You can typically expect an online program to last between two and three years. The Mississippi State Board of Nursing is a great source of information for currently accredited online programs.